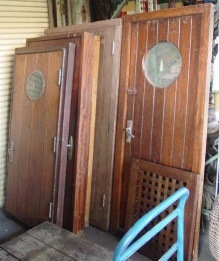 Selection of Mahogany and Teak Galley and Cabin doors. Very nice quality, sturdy construction. Contact us for available sizes and further information.